HIAWASSEE, Ga. – Early voting for the General Primary and Nonpartisan General Election began yesterday, Monday, April 30, and runs through Friday, May 18, 2018. Towns County polls are open weekdays between 8:30 a.m. and 4:30 p.m. at the Towns County Board of Elections and Registration Office, located at 67 Lakeview Circle in Hiawassee, adjacent to the Towns County Civic Center, behind the Old Rock Jail. The office will remain open during lunch hours. Voters can also cast their ballots Saturday, May 12, at the Board of Elections office, between the hours of 8:30 a.m. and 4:30 p.m.
Absentee ballots are available through the Towns County Board of Elections office, by calling 706-896-4353. The Towns County Board of Elections told FetchYourNews that the office will accommodate the elderly or handicap by moving such voters to the front of the line. It is necessary for voters to declare a political party – Republican or Democrat – prior to casting a ballot. Otherwise, voters will only be eligible to vote in the Nonpartisan General Election. Once a ballot is cast, it is final and cannot be changed at a later date. 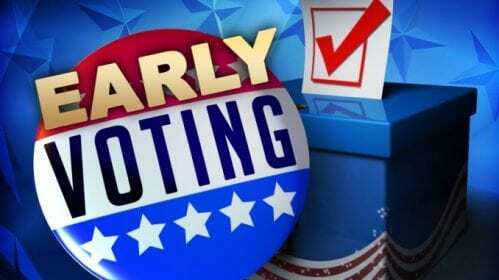 Election Day takes place Tuesday, May 22, with polls open in four designated precincts from 7 a.m. until 7 p.m. Voters assigned to the Macedonia precinct should report to Macedonia Baptist Church on Highway 76 East, as the regular Towns County Schools location is undergoing renovation. The deadline to register to vote in the upcoming election expired April 24, 2018. According to the Towns County Board of Elections, turnout on the first day of early voting amounted to 13 ballots being cast.